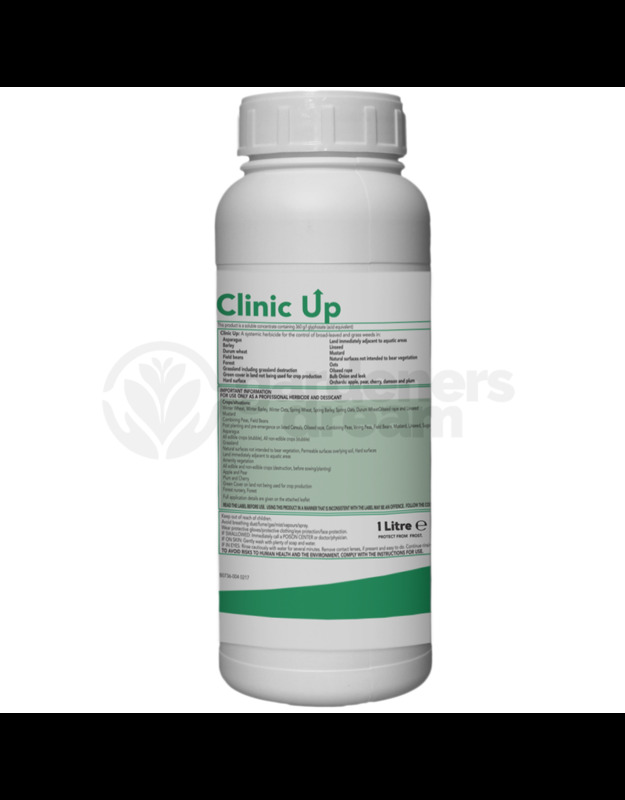 Clinic UP® is a brand new product which replaces the popular 'Clinic Ace'. It is a foliar applied total herbicide for the control of annual and perennial grass and broad-leaved weeds. It can be used in many crops, for the destruction of grassland, in orchards, green cover on land not being used for production, forestry and non-crop areas. This new quality glyphosate formulation has been redeveloped to not carry any hazardous symbols. Removing the Tallowamine aspect of the molecule has meant it is a 'clean labelled' product and is preferred under COSHH. When treating some larger or tougher weeds, you may need the application rate increasing to 6L/ha or 500ml per 10L of water. 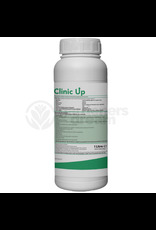 Clinic UP contains glyphosate, which totally kills weeds. When sprayed into the weeds Clinic UP enters the plant and spreads throughout the plant into the leaves, and roots. Glyphosate blocks several important biological processes resulting in the gradual decline and death of the plant. Death can take up to four weeks. Broad leaved weeds generally take longer to die than grass weeds. On contact with soil or river bed slit the product is inactivated.